Harry Potter may now have a permanent presence in a wall in King’s Cross but, luckily for those of us with books on the brain and an aversion to over-excited crowds, there are lots more iconic bits of literary history to soak up in London. 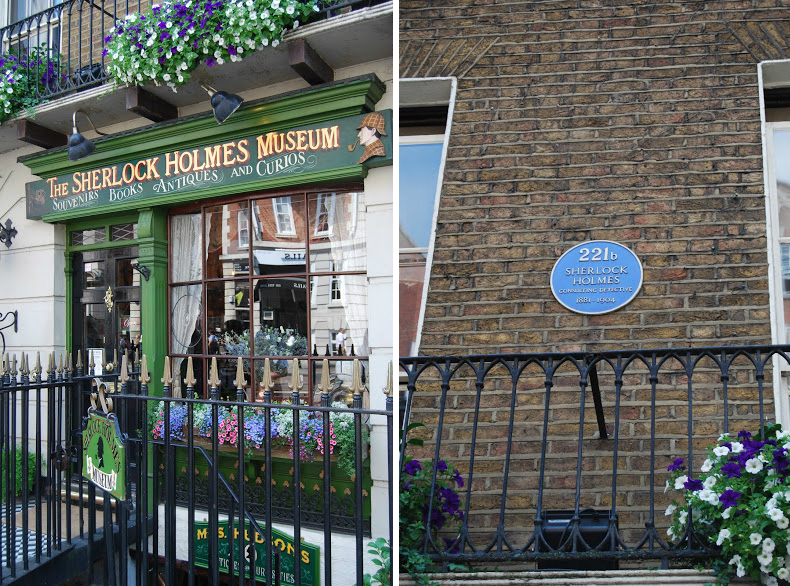 Here are our 11 favourite places that all of London’s literature lovers must see. Dr Samuel Johnson lived in 17 places around London, the most notable being 17 Gough Square just off Fleet Street, where he compiled A Dictionary of the English Language. After Johnson vacated in 1759, the house went through many different uses – including a printer’s workshop and a canteen for firemen during World War 2 – and finally became a museum dedicated to Johnson’s life and work. 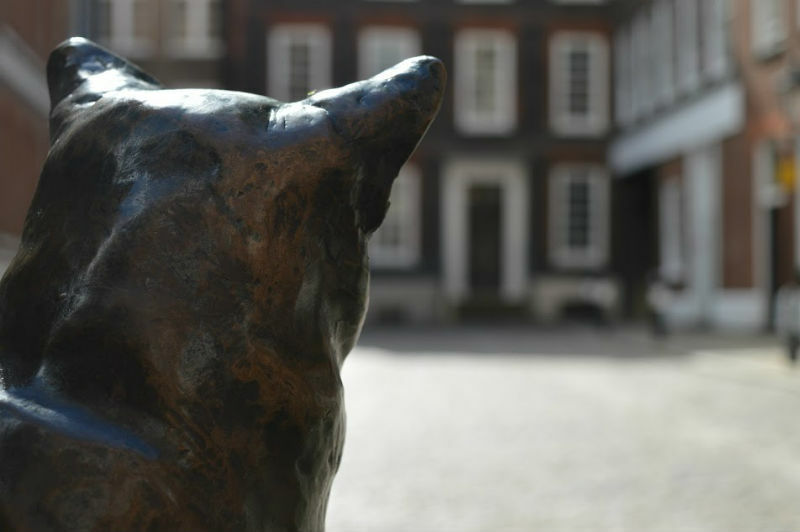 Among the exhibits are Johnson’s own books, the garret where he wrote the dictionary, his will and a statue immortalising his beloved cat Hodge across the square. Johnson himself now lies in Westminster Abbey, where he was buried after his death in 1784. 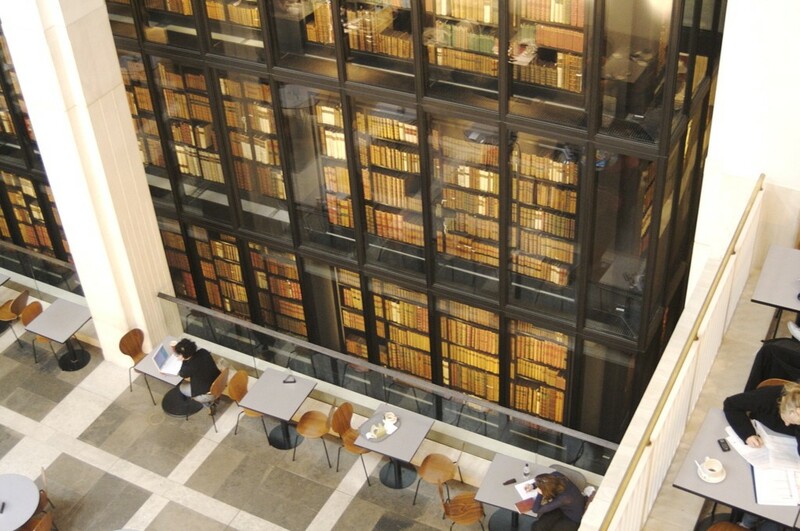 The British Library houses a vast collection of irreplaceable original manuscripts and notebooks from some of the country’s most renowned classic writers. Some of them are on display in The John Ritblat: Treasures Gallery including Shakespeare’s First Folio, Jane Austen’s notebooks and the copy of Alice in Wonderland that was given to “Alice”, the inspiration for the stories. 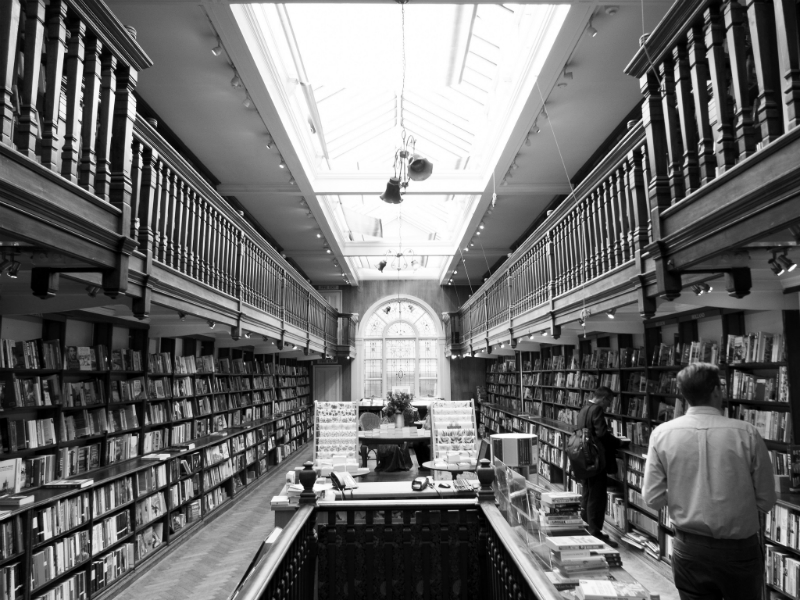 Daunt Books has picked up a cult following with book-loving Londoners, but it’s not just their collection that catches people’s attention. 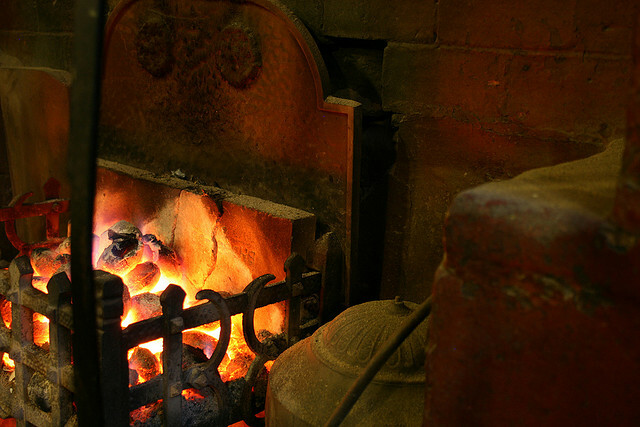 The shop dates back to the Edwardian era and the long oak galleries still survive. At £15 for a day’s use, this subscription library draws in an, shall we say, exclusive crowd, but that was always the intention. The list of past members reads like a who’s who of British literary icons: Sir Arthur Conan Doyle, Agatha Christie, Charles Dickens, George Eliot, Rudyard Kipling, and Virginia Woolf were members and T.S Eliot was the Library’s president from 1952 to 1965. Created in 1841 as a subscription library to provide ‘the Metropolis of Great Britain with a Library from which books are taken out to be read at home’, the Library is open to everyone and still follows its own original rule to never discard any book, no matter how unfashionable it becomes. As a result the Library now houses over one million books including works from the 16th century and present-day releases. This Fleet Street building dates back to 1667, just after the Great Fire of London when the original pub on this site was destroyed in the flames. The sign on the exterior attests to its long history by listing no less than 15 monarchs that the building has survived through, and the pub has entertained the likes of Charles Dickens, PG Wodehouse and Mark Twain in its time. There’s been a pub on this site for hundreds of years longer than that, though: the earliest one on record was a guest house run by a 13th century Carmelite Monastery. Part of the chapel belonging to this incarnation still survives as vaults and can be seen just before you get to the cellar bar. 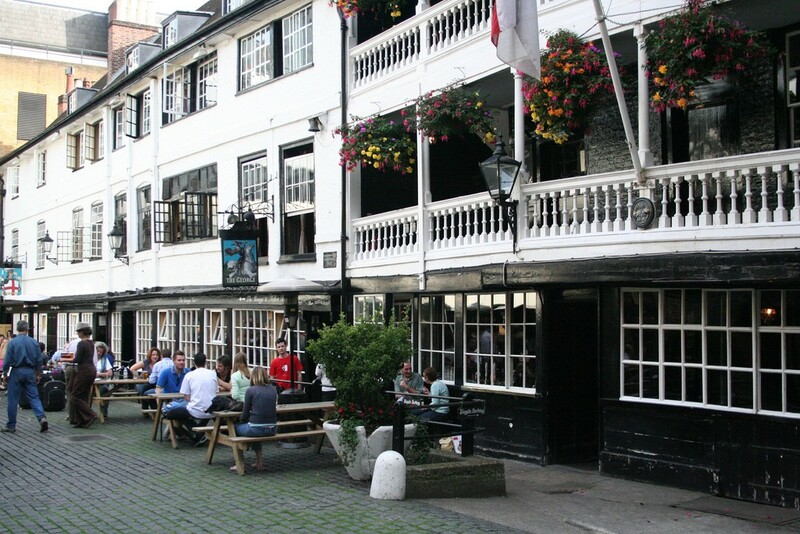 Mentioned in Little Dorrit (yes, Dickens got about a bit) and reportedly a favourite of Shakespeare, the original George Inn on this site burned down in 1676, and the building that’s there now is London’s last remaining galleried inn. The building is so special that it’s now part of The National Trust and leased to the company who run the pub. 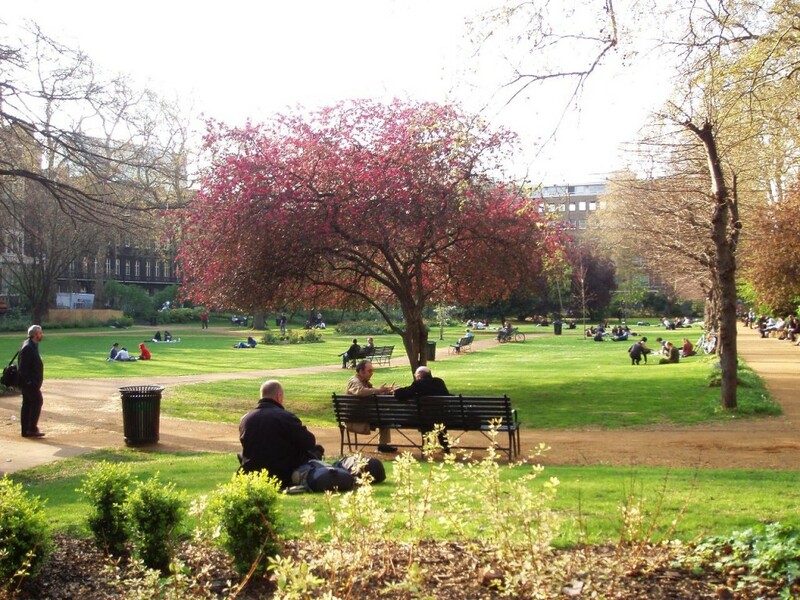 While it is now open to the public, Gordon Square in Bloomsbury was designed as a private garden for the residents of the surrounding houses. One such resident was Virginia Woolf, who lived at number 46 from 1904 to 1907 and met with her group of intellectual friends (dubbed ‘the Bloomsbury Group’). A house belonging to a fictional character might strike some as being lacking in sincerity, especially when it costs £15 to get in, but the effort that has gone into making ‘the world’s most famous address’ is quite something. The decor and style of the rooms has been curated to feel as though Holmes himself has just walked out of the room, and the reconstructions of some of his most famous cases will give you the heebie jeebies. 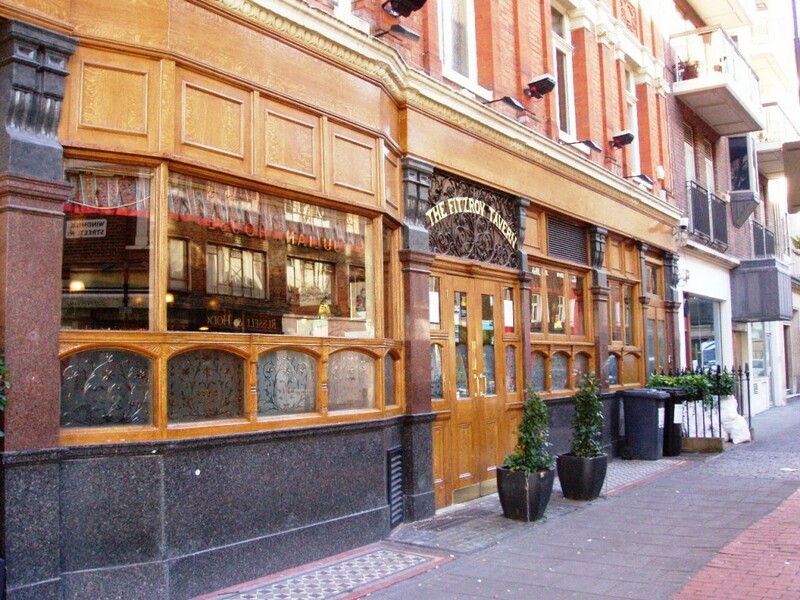 The Fitzroy Tavern was once a meeting place for the great and the good of the intellectual scene in the 1930s and 40s and actually gave the area – Fitzrovia – its name. Dylan Thomas and George Orwell drank here and are immortalised in the Writers and Artists Bar downstairs. And for fans of more recent works, Charlotte Street is also the namesake and setting of Danny Wallace’s first novel. 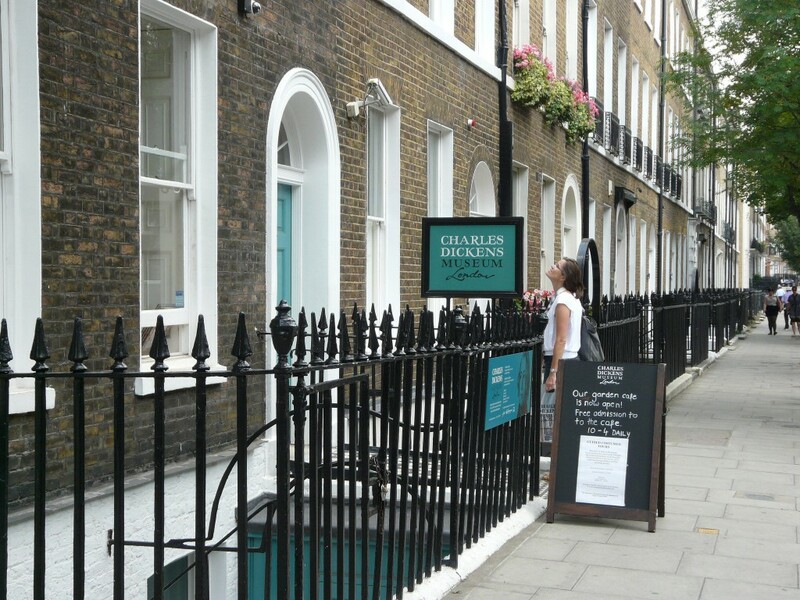 The Charles Dickens Museum is set at the novelist’s former home where he lived from 1837 until 1839 and wrote Oliver Twist and Nicholas Nickleby. The house has been restored into the style of a typical 19th century London home and contains the world’s finest collection of rare Dickensian books, paintings, photographs on display. Before he flew away to Neverland and started stubbornly refusing to grow up, Peter Pan lived with his mother near Kensington Gardens. In Peter Pan in Kensington Gardens – JM Barrie’s preceding title to Peter and Wendy – a seven-day-old Peter escapes his London home to the gardens where he gains favour with the fairies and is granted his power of flight. Explore London in a more interesting way and meet new people with us! Hello! We’re thinking bob, a socials and events community that helps over 7,000 friendly Londoners to meet new people and explore their city at the same time.